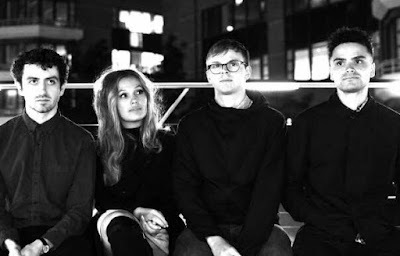 PLUME are a Manchester-based four piece boasting a distinctive sound influenced as much by the continuum of contemporary electronic music as it is by jazz and minimalism. All four members (Caroline Hendry – vocals; John Diver – guitar; Andy Patterson – bass guitar; Joe Luckin – drums) are graduates of the Royal Northern College of Music, combining education and expertise with innovation and flare to produce a unique and refined musical hybrid. After finishing their studies, the four stayed on in their adopted home of Manchester, drawn deeply to the city’s fertile musical culture. Performing and writing across the city in various musical outfits, they would soon coalesce naturally into Plume, weaving their disparate musical interests and backgrounds covering jazz, techno, drum and bass and post-punk into the quartet that exists today. Twin Beam is a collaborative project between brothers Oscar and Athol Cassidy, working as a composition/ performance/ production team. Twin Beam’s style is a blend of funk, electronica, rock and ambient as can be heard on their releases and remixes for other artists. An interest in video game and film soundtracks is quite evident in their sound.